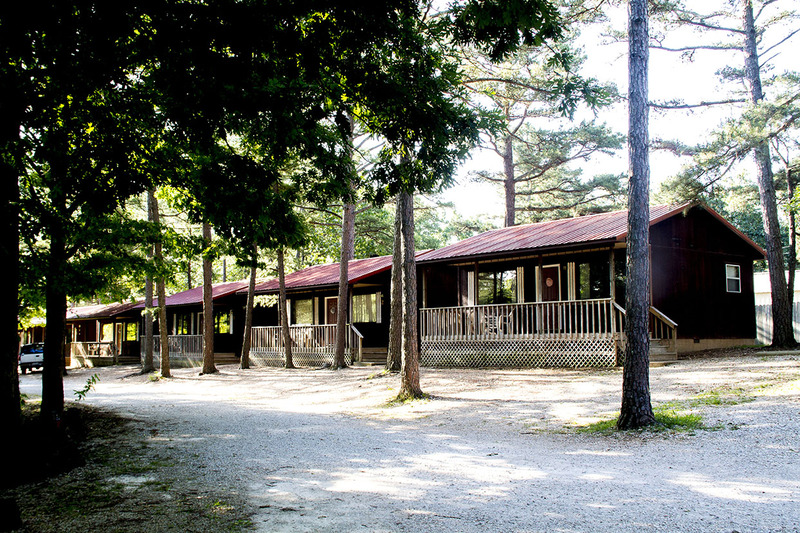 Our Branson Lodging facility includes individual cottages and cabins located between Silver Dollar City and Branson and very close to Shepherd of the Hills. 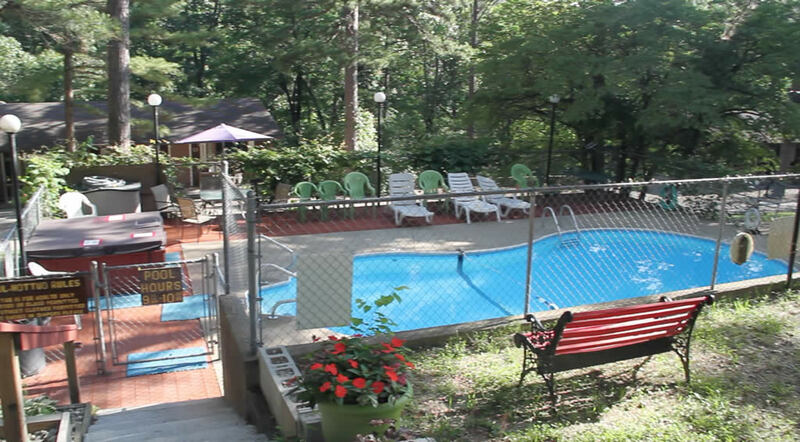 A sparkling pool and hot tub sit at the edge of a pine grove offering the perfect Ozarks setting. You can roast marshmallows or hot dogs, or just relax by the campfire at our community fire pit or simply enjoy the evening on your own private deck. Each Cottage contains kitchen facilities, complete with dishes, pots, pans, utensils, coffee maker, toaster, refrigerator, microwave oven and a 2 burner electric stove top. (There is no bake in oven) There are a dining area and queen sofa sleeper. All cottages have 32″ color cable TV’s with DVD players, Free Wi-Fi, full bath with shower/tub and electric heat/air, plus ceiling fans. There are recliners in select cottages. For the outdoor chefs, each cottage has its own charcoal grill and picnic table. We have only ONE smoking cottage and it is the Individual Cottage. Complete linens are provided in every unit (EXCEPT POOL TOWELS) and we also provide clean towel service each day. The MOTEL Rooms have a small refrigerator and a coffee pot. There are two Queen beds, no sofa sleepers or recliners, and you must walk down a set of steps or ramp to access these rooms. Also, there are NO DVD players or microwaves in the Motel rooms. There is an outdoor pool and Hot Tub (open May thru Sept depending on weather), and a “campfire” area with wood provided if you would like to roast marshmallows, hot dogs, etc. You build the fire and you put it out when done. We even have Christmas trees in all of the cottages starting Nov 1st thru Dec 26th each year. We sell tickets to some of your favorite shows and attractions! Cardinal Hill Cottages is perfect for that family vacation, friendly get together, honeymoon, anniversaries or romantic getaway. We even cater to family reunions. We are located just minutes from all the Branson shows and attractions, including Table Rock Lake. We also sell tickets to many of the most popular Branson shows and attractions. We offer an array of discounts including discounts for Seniors, Veterans, Active Duty Military and much more. The beautiful nature consists of finches, jays, bluebirds, nuthatches, chickadees, hummingbirds, swallows, woodpeckers and yes, cardinals, as well as quite a few squirrels and an occasional deer.